Today, South Africa celebrated the life of our most influential leader: Nelson Mandela. This year Nelson Mandela turned 95, but celebrations took on a heavier meaning this year as he remains in serious condition, suffering from an ongoing six week lung infection in hospital. Throughout today, South Africans danced, sung and celebrated while chanting his loving nickname, “Tata”, or “father”. Joyful crowds choirs, political groups, schoolchildren and onlookers all over South Africa expressed their love for our ailing leader. Relentless in his struggle against oppression — Nelson Mandela survived decades in prison and stayed the course through enormous punishment — ultimately leading South Africa into freedom. In his dedication to the liberties of his people and his defeat of apartheid, he has become a global symbol of triumph over adversity and as a result, is considered as of the most recognizable human rights advocates of the twentieth century. 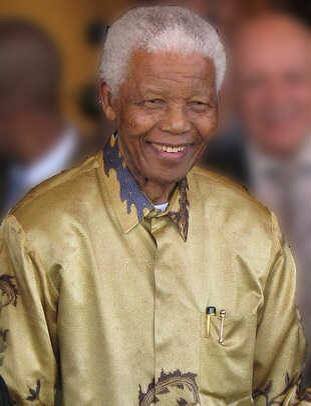 Nelson Mandela has always had an unquenchable passion for the rightness of his cause and the liberation for all. His was never a fight for power, but for values and respect. Nelson Mandela has always been a role model of mine, and continues to inspire me every day. With the help of Ho’oponopono, I hope that I too can make a difference in the lives of everyone that I come into contact with, and can be a force of only good in the world. I wish you a very happy “Nelson Mandela day”. P.S. One of the ways that I reinforce Ho’oponopono in my own life is by using my Ho’oponopono Audio product “The Ho’oponopono River” (which I originally developed for my personal use only). “The Ho’oponopono River” is a 28 minute Self Hypnosis Ho’oponopono audio I have created that combines advanced hypnotic techniques, the ancient Hawaiian practice of Ho’oponopono, and the Law of Attraction to take you on a wonderful healing hypnotic journey that will repair and heal your old memories, cleansing you of pain and ego, calm your spirit and put you right back in the here and now.